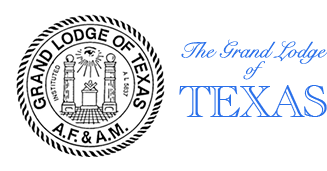 A Texas law enforcement agency has again furnished one of its fine personnel as an officer in The Most Worshipful Grand Lodge of Texas, A. F. & A. M., in Joseph Guy Smith. He is Regional Commander of the Department of Public Safety, Region Number 1, Dallas, Texas, and he served the Masons of Texas as their Grand Master 1968-69. Bro. Smith was born in Comanche, Texas, on March 23, 1909, and spent his early years in that community. He completed his elementary training in their schools. He moved with his parents to Austin in 1923 and there completed his high school work and attended Nixon-Clay Commercial College. It was in Austin that he began his law enforcement career as a motorcycle officer. The Department of Public Safety had a new Highway Patrolman on September 1, 1935, and J. Guy Smith was launched on the career to which he is still dedicated. As a patrolman he was stationed at El Paso, Harlingen and Waco. The Department moved him to Tyler as Captain on July 1, 1944, and on September 1, 1957, he went to Dallas as Regional Commander of Region No. 1, his present position. Dedication and interest in his chosen profession has been indicated by the further training he has taken at the Department of Public Safety Academy, Texas A&M University, Southern Methodist University and Northeastern University, Evanston, Illinois. The organizations of which he has been a member clearly outline the reasons for the advancements in his chosen field, they are: Texas Police Association, East Texas Peace Officers’ Association, North Texas Peace Officers’ Association, Dallas County Chiefs’ of Police Association, International Association of Chiefs’ of Police and Sheriffs’ Association of Texas. In private life Bro. Smith is the husband of Heritage Sprouse Smith, the father of Jo Ann Smith Lewis of Dallas, Texas, and James Guy Smith of Mineral Wells, Texas, and the proud Grandfather of eight lovely children. 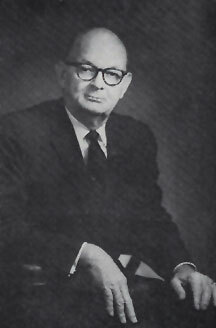 As a member of the First Baptist Church of Dallas he contributes to the spiritual life of his fellow citizens and also gives of himself in civic endeavors. Fishing and Masonry are listed as hobbies of this busy man. His active Masonic life indicates that his Masonry is much more than a hobby. He was raised to Master Mason in George N. Denton Lodge No. 24, Waco, Texas, on September 24, 1943. When he was transferred to Tyler he demitted and affiliated with Tyler Lodge No. 1233. He served as their Worshipful Master in 1953 and still maintains his membership there, as well as in East Dallas Lodge No. 1200, Dallas, Texas. His influence has been felt in the other branches of Masonry as he has worked actively in the Royal Arch Chapter and the Council of Royal and Select Masters. 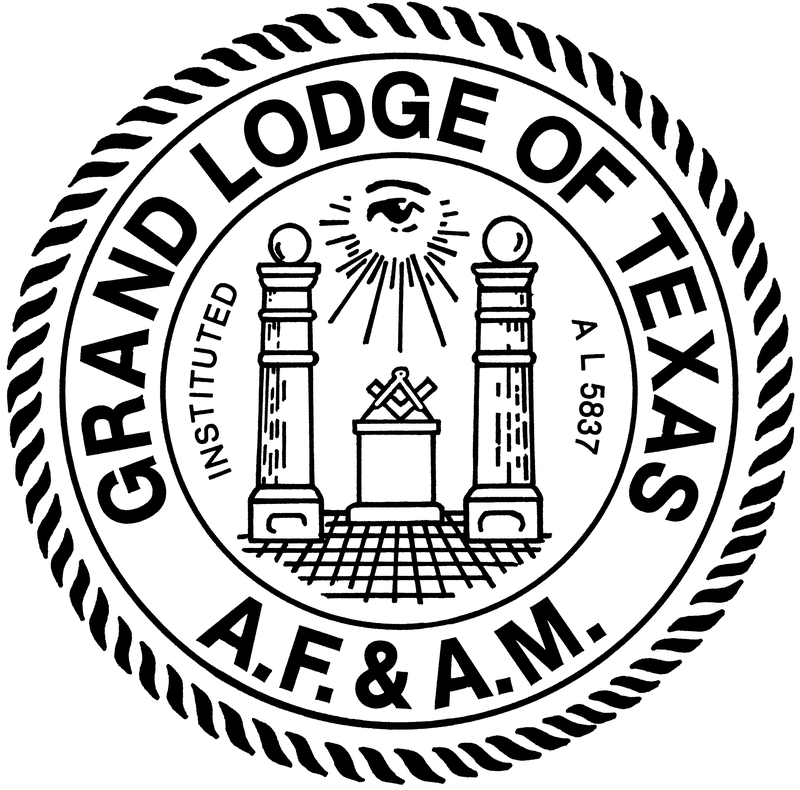 He was Chairman of the Scottish Rite Association of Texas and received his Honorary Inspector General 33° January 4, 1964, and is a member of Hella Shrine. During the years he has faithfully served the Grand Lodge in several important capacities. In 1953 he was appointed District Deputy Grand Master of Masonic District No. 16 and he was elected to the Committee on Work in 1958 devotedly performed his duties there until he was elected Grand Junior Warden in 1965. Three of those intervening years, 1962, 1963 and 1964, he led the Committee as their Chairman. 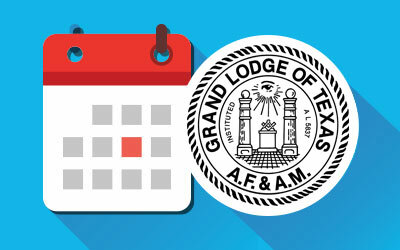 As inspiration and aid he filled his place as Grand Junior Warder., Grand Senior Warden, Deputy Grand Master and finally led the Masons of Texas as Most Worshipful Grand Master in 1968-1969.